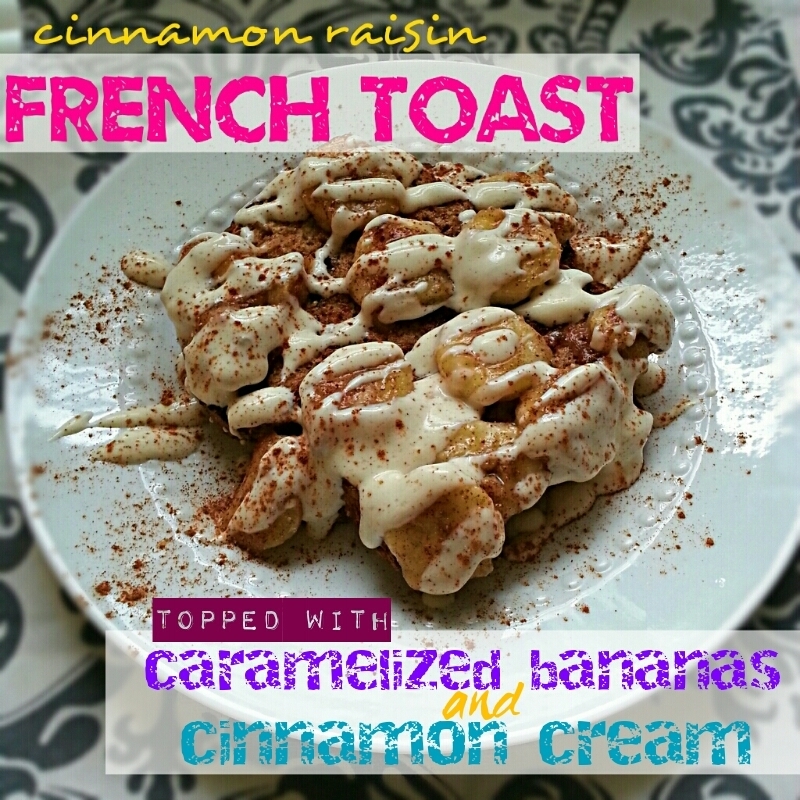 Filling and sweet.... who doesn't love French Toast?? Combine egg whites, vanilla, and cinnamon in a bowl. Coat both pieces of bread with mixture and cook on low-medium in a skillet for a few minutes each side. Combine honey, agave, truvia, and bananas. Cook in a skillet on low for 2-3 minutes. For cinnamon cream, combine yogurt, cinnamon swirl whey protein, and a dash of almond milk. Add a little extra truvia and cinnamon on top of french toast and top with carmelized bananas and cinnamon cream.